Scientists have decoded the process that lends Tennessee whiskey its unique flavour, a finding that could help distilleries to uniformly achieve the taste they desire. By US law, a product cannot be called Tennessee whiskey without a necessary step known as the Lincoln County Process (LCP). This step involves filtering freshly distilled, un-aged whiskey over charcoal made by burning wooden planks from sugar maple trees. Researchers from the University of Tennessee in the US have found what the process imparts to the final product. "Although Tennessee whiskey and traditional bourbon both have to be made from 51 per cent corn and aged in charred oak barrels, the distinction is really this filtration step," said graduate student Trenton Kerley. Even in this modern age, whiskey making is still a bit of an art form. Distillers currently adjust their product empirically at the end of a long process of brewing, filtering and ageing. They blend different batches to achieve a certain flavour. However, until now, no one has systematically studied the effects of the LCP step, so named for the county where the original Jack Daniel's distillery was located. John Munafo, from University of Tennessee, said that by probing the fundamental chemistry of this process, his team could help distilleries achieve the flavour profile they desire and reduce product variability. Munafo's group partnered with the Sugarlands Distilling Company in the US to figure out how LCP affected the flavour of their Tennessee whiskey. The researchers first established baseline values for its flavour. 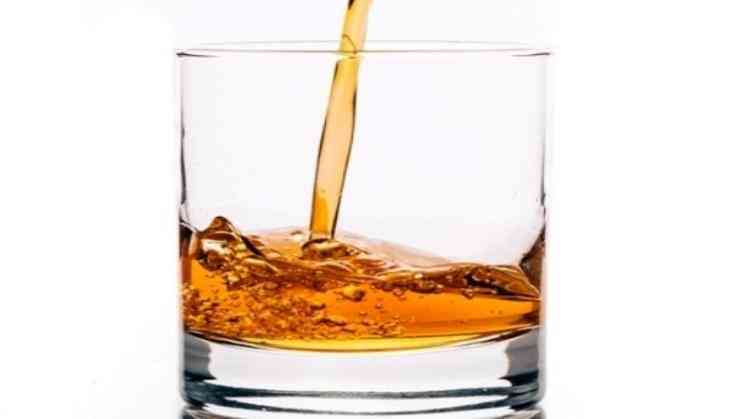 They identified all of the aroma-active molecules of the unfiltered whiskey using a combination of gas chromatography-mass spectrometry and gas chromatography-olfactometry, a technique by which a scientist can smell the individual components of a sample as they are separated. They then determined which of these compounds was important to the whiskey's flavour with a technique called aroma extract dilution analysis, in which aroma-active compounds are diluted until they no longer be smelled. Finally, the key odourants were quantitated by stable isotope dilution assays. After identifying the compounds that contributed to the unfiltered whiskey's flavour, they exposed it to sugar maple charcoal also obtained from Sugarlands. Based on a procedure established by the distiller, they left the whiskey soaking in the charcoal from one to five days. They then analysed samples by spiking them with known quantities of the odourants previously identified so they could quantify how much of each compound was removed by the LCP step. Based on the whiskey's smell before and after filtration, he was surprised by how much some of the levels changed. "I was expecting it to have an effect, but I wasn't expecting as large of an effect as we saw in some of the compounds. For example, levels of some compounds declined by up to 30 percent after LCP," he said. Researchers now plan to run a series of experiments varying the time the unfiltered whiskey is in contact with the charcoal, and another in which the whiskey-to-charcoal ratio is systematically altered. The findings could be used to advise distillers on exactly what changes to make to their whiskey to produce the best flavour for their unique brand. Karan Johar all set to launch Taimur in Kareena Kapoor and Akshay Kumar starrer Good News! READ NEXT >> Karan Johar all set to launch Taimur in Kareena Kapoor and Akshay Kumar starrer Good News!